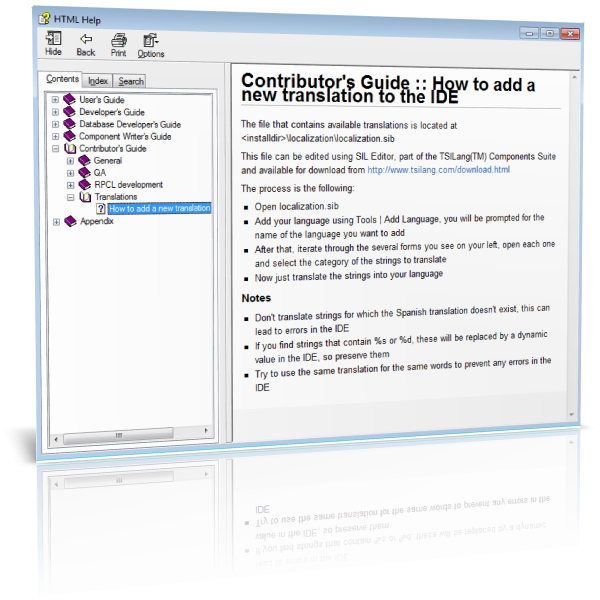 As we reported in the article Creating multilanguage applications translated by users TsiLang Components Suite makes it possible to create applications that support new, user-created translations even without recompilation or assistance from the developers. 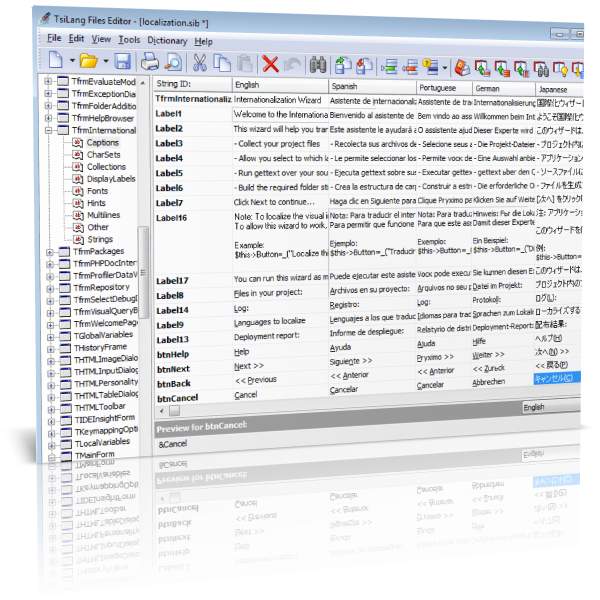 Examples of applications developed with this tool include our products Resource Builder, SIL Editor, and Dictionary Manager, as well as third-party applications. One of the most outstanding applications using TsiLang Components Suite is RadPHP XE from Embarcadero, developed by the authors of Delphi, C++Builder, RAD Studio, and other well-known developer tools. 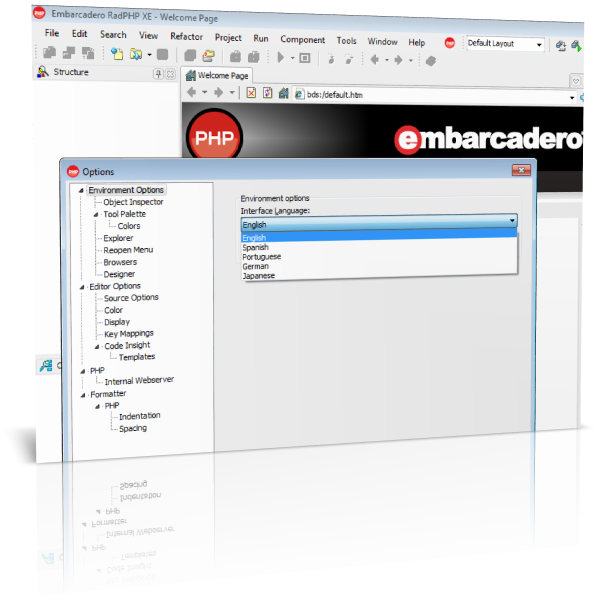 In RadPHP XE, the user changes languages through the Options menu. Figure 1. RadPHP XE Options dialog box. After the user adds a language or updates an existing language, new translations will appear automatically in the application. The large community of RadPHP XE users all over the world helps to collect quite a large translation database, which is then shared with others. As is shown here, this functionality is easily implemented and fast, while providing developers with tremendous flexibility. The fact that TsiLang Components Suite is used by the company that created Delphi, C++Builder, RAD Studio, and other development tools underscores the quality, convenience, and reliability of our product. We hope that you will choose our product as a tool for your multilingual Delphi and C++Builder applications. 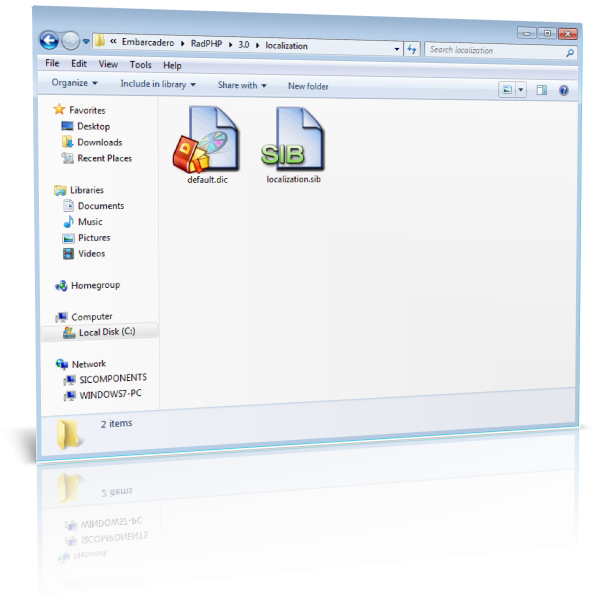 TsiLang Components Suite home page: https://www.tsilang.com. Latest version can be downloaded from: https://www.tsilang.com/download.html. You can download this article in PDF format here: radphp_and_tsilang.pdf.